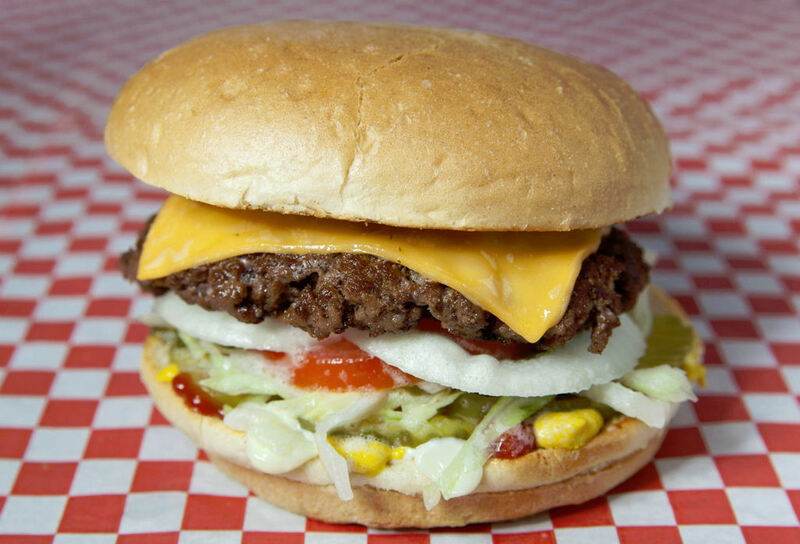 GrandStand Burgers – We know you're hungry! 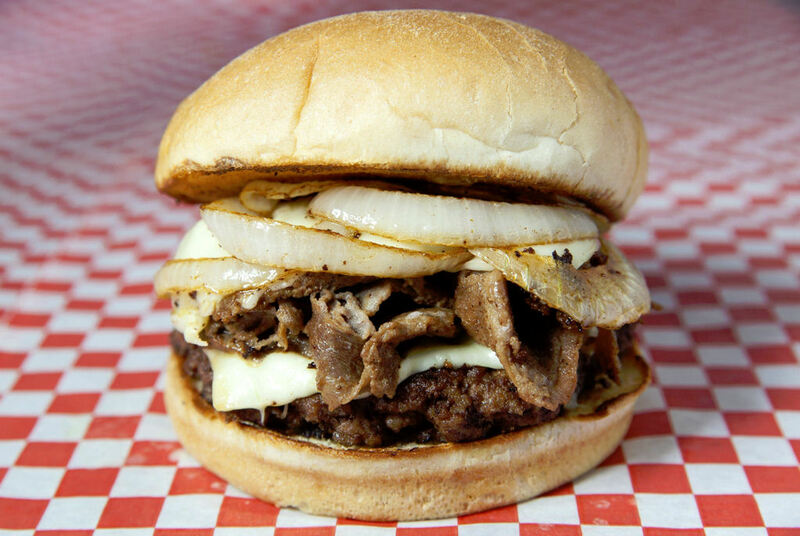 Grandstand Burgers got its start many years ago at the intersection of Merriam Lane and Antioch when Nick Marci, who formerly owned Paola’s Radio Station KWJP 97.7, got his start in the burger business. After several several years of managing the other Grandstand Burgers, and a desire for something besides the same old fast food, Nick offered to help us start Grandstand Burgers in Paola. We opened March 1, 2015 and the rest is history. We are locally owned and are staffed by local team members. Grandstand Paola has inside seating along with outside picnic tables, and a walk-up window. 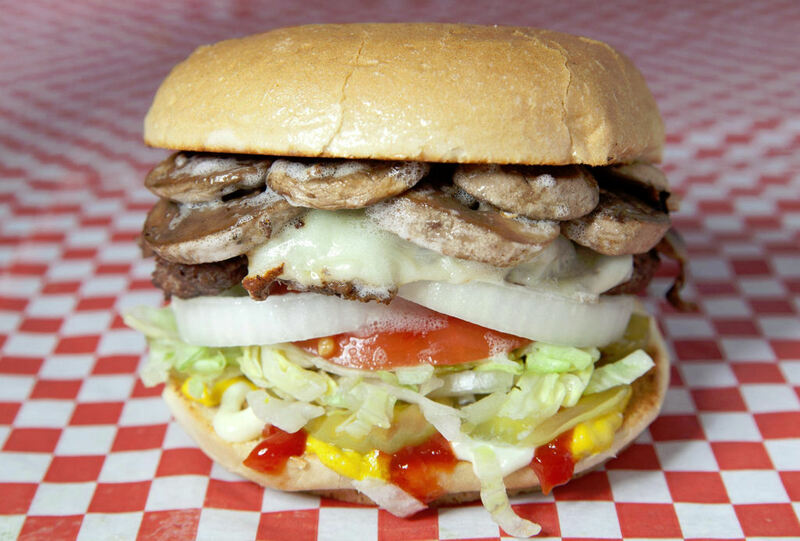 You can also call in an order for pickup at 913-594-4258. 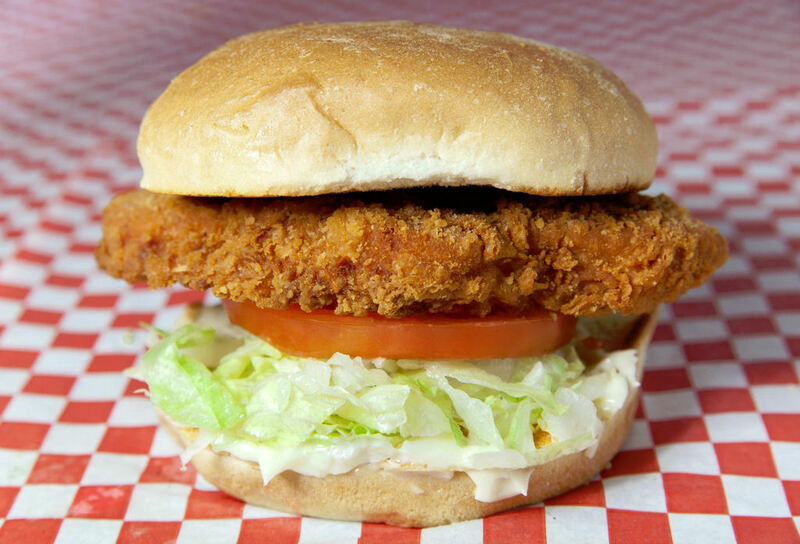 Our goal is simple: serve the best food we can at a fair price. 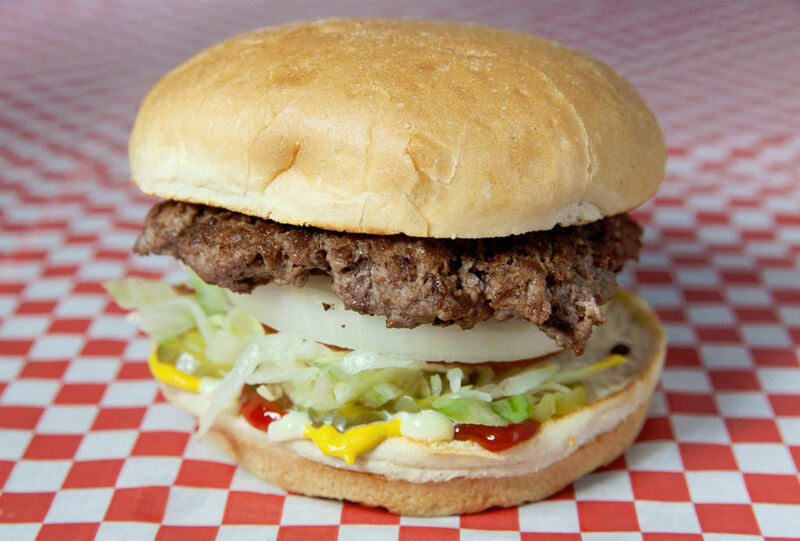 We serve up fresh, Midwest, ground beef, Angus patties that are over 1/3lb each. We NEVER use frozen, pre-made patties. These aren’t your typical burgers, grilled to order. 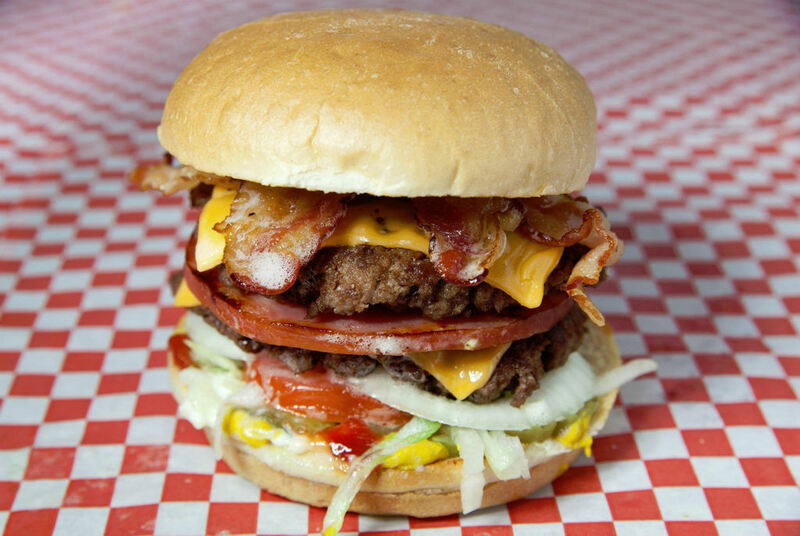 We have more than just burgers; we also offer real ice cream shakes, cones, and sundaes. 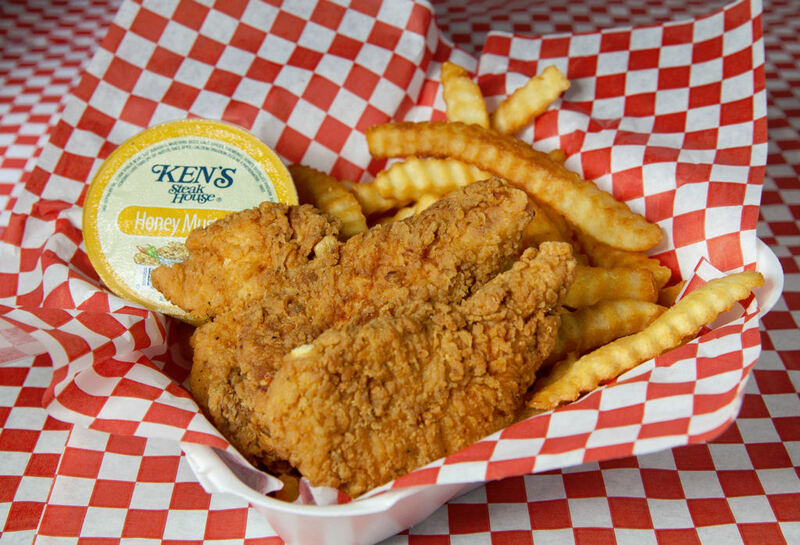 We get great reviews on our tenderloins, chicken sandwich, taco salad, philly cheese steak, and multiple sides that we offer. Come check out our race car theme. You can even get your picture taken with our authentic Sprint Car. 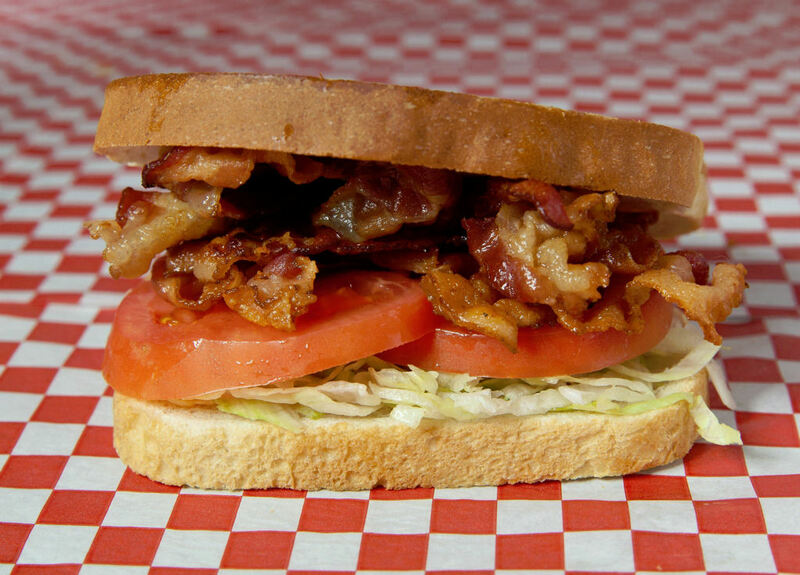 We know you’re hungry! 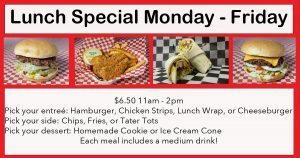 Take advantage of our daily lunch special Monday – Friday!